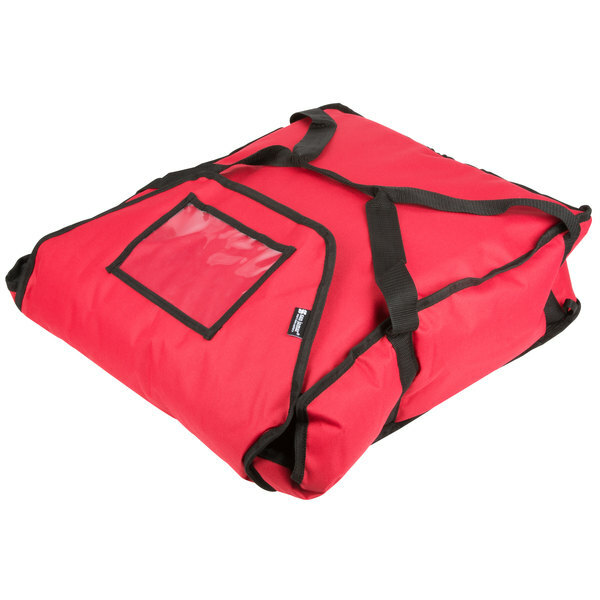 20" x 18" x 6"
25" x 26" x 6"
17" x 16 1/2" x 5"
ServIt Soft-Sided Heavy-Duty Insulated Pizza Delivery Bag, Red Nylon - Dual Compartment, 20" x 20" x 14"
Where should I store my pizza delivery bag when it's not in use? 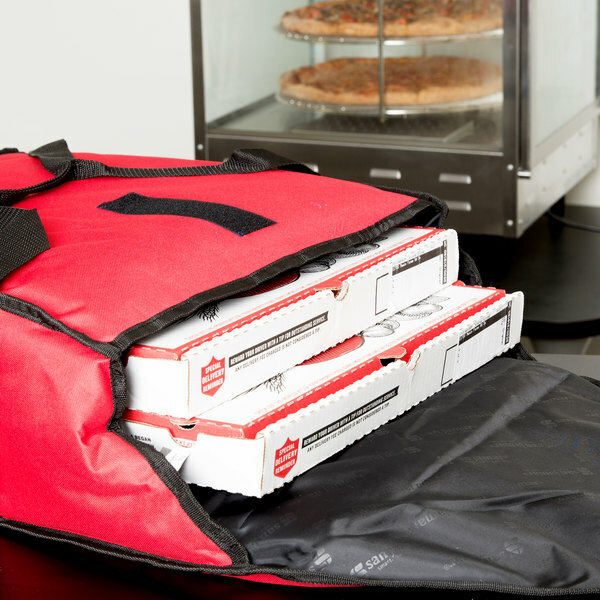 For best results, store your bag at room temperature prior to loading pizzas. 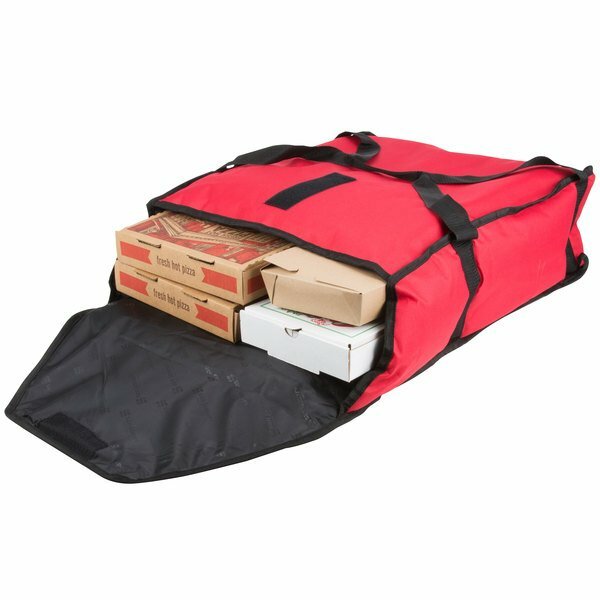 Keep pizzas hot, fresh, and flavorful during transport with the help of this San Jamar PB20-6 nylon insulated pizza delivery bag! 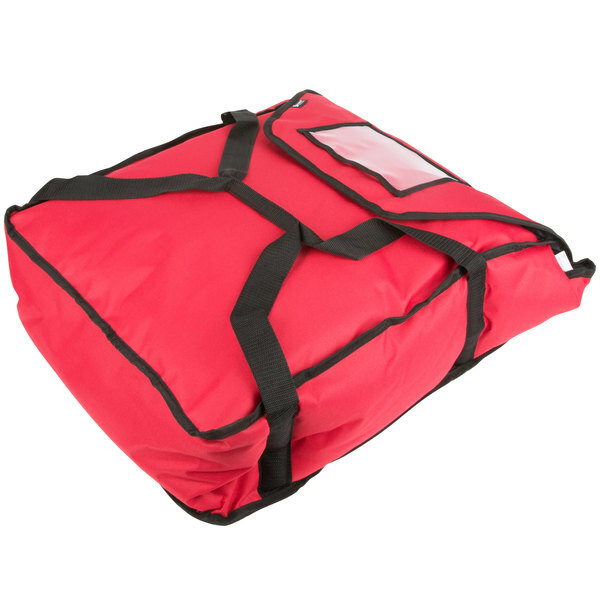 Designed for frequent pizza delivery, this durable pizza bag helps maintain the quality of the pizzas inside with its moisture free insulation and lining. Its exterior 600 denier nylon material is stain-resistant and DEHP free, while the poly batting interior insulation retains heat longer. 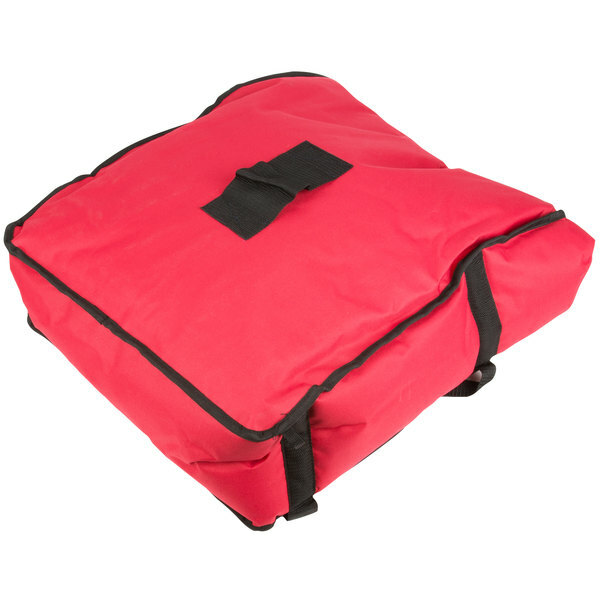 Featuring a bright red color, this pizza delivery bag can carry up to (3) 16" pizza boxes or (3) 18" pizza boxes in one trip! 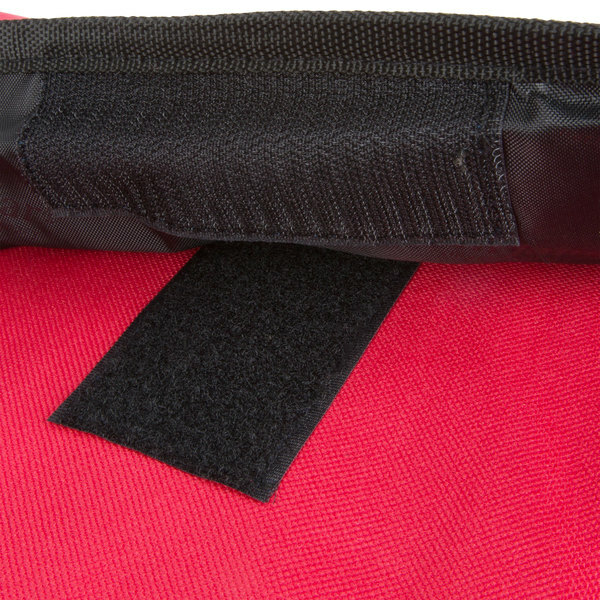 Comfortable and easy to carry, this pizza delivery bag features Velcro® strips to provide quick opening and closing while keeping your pizza boxes securely inside. Easy to wipe down and clean, this pizza delivery bag features a hanging loop that makes it easy to hang and store after use! It also features a convenient, clear pocket on the outside of the bag so you can store coupons, business cards, and more inside the compact window. 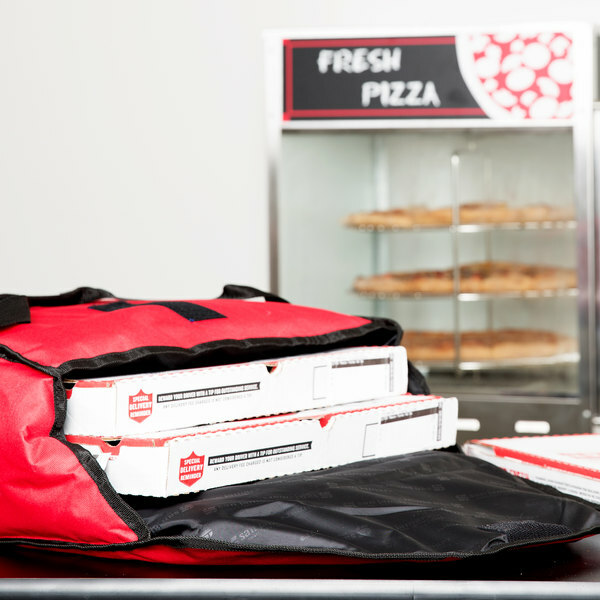 With its many features, the San Jamar PB20-6 pizza delivery bag makes a smart addition to any busy pizza shop! Waited to write a review to really see how the product held up. So far it is holding up great! It is also very easy to clean and maintain. 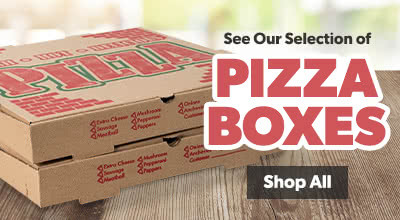 It is also very large to hold multiple pizza boxes at one time which is a much easier than using several smaller ones. This bag is very durable and makes delivering product for our restaurant. It can hold many large pizzas and keeps them very hot on their journey to the consumer.